I bought this beautiful sunglasses polyester from Guthrie and Ghani recently. The good news is that I know it will make a lovely, floaty summer dress. 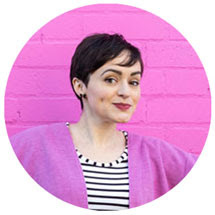 The not-so-good news is that it’s one of those slippery little scamps that slips and slides all over the cutting table and sewing machine – know what I mean? 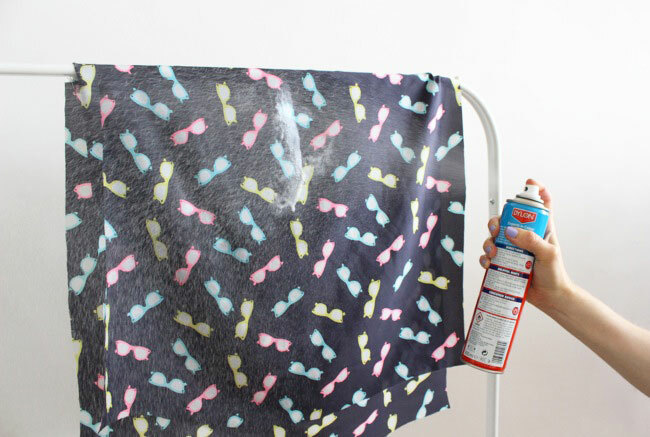 Before you begin, hang your fabric up on a clothes dryer or rail, and give it a light going-over with some spray starch (the kind you might use to iron a shirt, if you were so inclined). This will stiffen the fabric slightly and make it behave itself much better when you lay it out ready to be cut out. 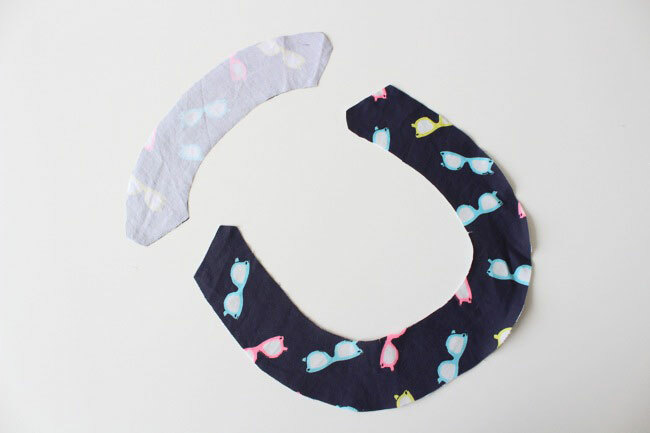 Have you ever cut out some slippery fabric, only to end up with fabric pieces that are a different shape and size to the pattern pieces? 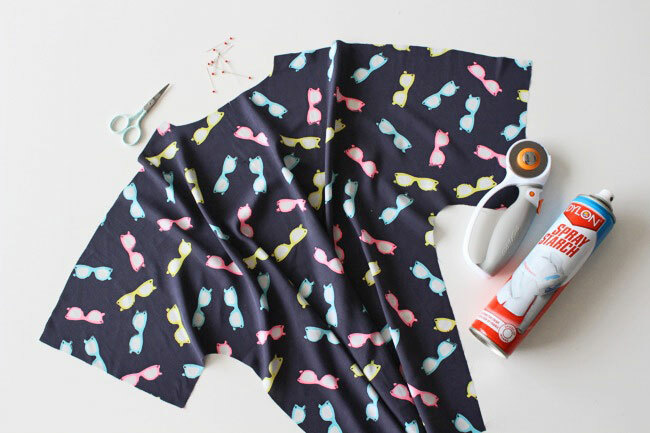 When you cut fabric with scissors, the blade underneath the fabric lifts it up slightly and, if the fabric is slippery, it can slide down the blade. The result will be pieces that aren’t quite accurate, seams that don’t match up, and possibly even clothes that end up too big or small for you. 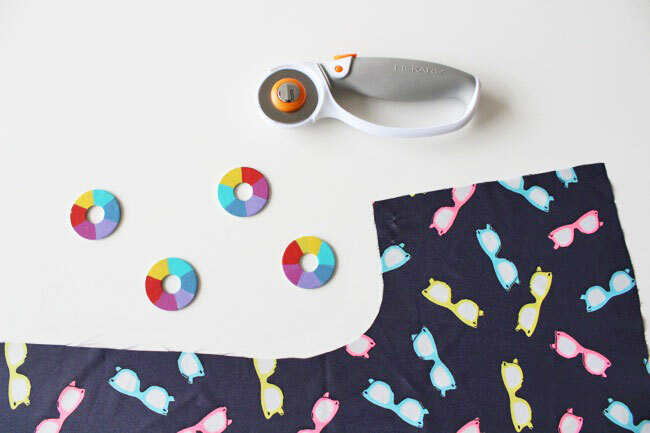 You’ll probably find you get a more accurate result – and less frustration – by weighing the fabric and pattern down on a cutting mat, and cutting out with a rotary cutter. The blade cuts the fabric as it rolls along, without lifting it up off the mat. This is one that I don’t personally do all the time, but it’s a goodie when the fabric is really hard to handle. If you’re cutting pieces on the fold, you may find you end up with a piece that isn’t quite symmetrical, as the bottom layer of fabric is sliding around and doing it’s own thing. What you can do with pieces that are meant to be cut on the fold is open the fabric out flat and line up the fold line on the pattern piece with the grainline on the fabric. Cut around the pattern piece – but not the fold line – on one layer of fabric, and mark in the fold line, either with a chalk pencil or a little notch at either end. Then flip the pattern piece over the fold line so it’s face down on the fabric and so the fold line is lined up with the one you marked on the fabric. Now cut out the other side – so you’ll end up with a symmetrical piece of fabric, cut on one layer of fabric rather than two. Small pieces, such as neckline facings and collar pieces, can be particularly tricky to cut accurately in slippery fabric. And if they need interfacing, you may discover that the interfacing piece and the fabric piece end up looking different shapes, because the fabric has slid around when you cut it out - doh! So what I do with small pieces that need interfacing is cut the interfacing first, as it’s less likely to slip around than the fabric, then fuse it to the (pre-cut) fabric. Then I just cut around the outside of the interfacing piece, basically using it as a template. The interfacing stabilises the fabric and makes it much easier to cut accurately. Woohoo! Pins are your friend when it comes to slippery fabric. 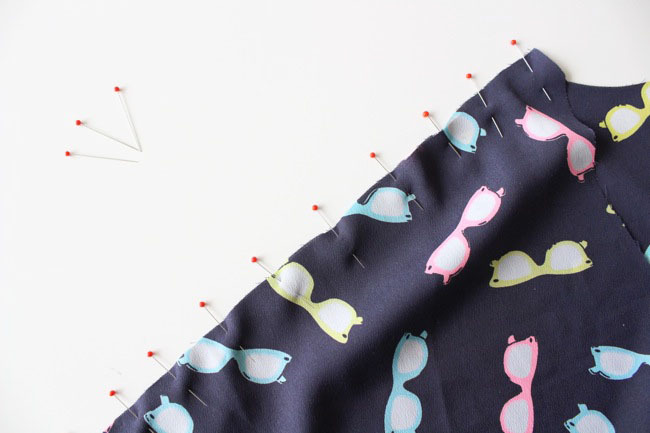 Because the fabric layers will slide around, use more pins than you usually would to keep the seams together. 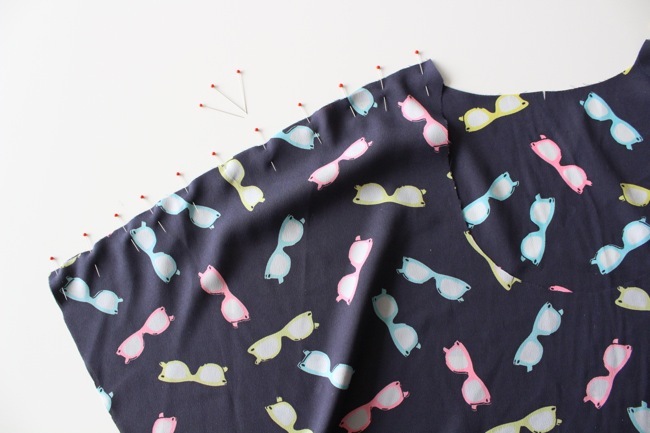 Try to avoid positioning the pin heads over the fabric though, as they can distort the fabric. 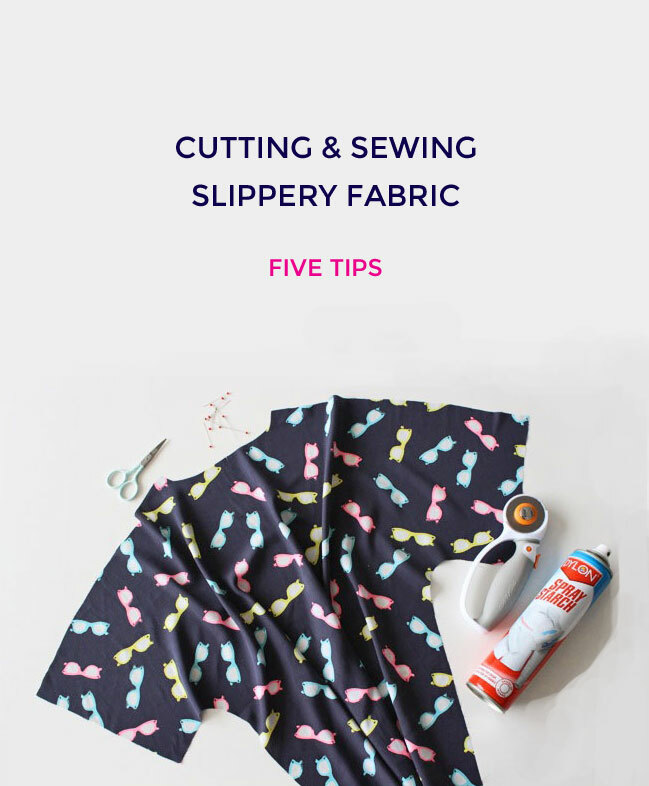 I hope these tips remove some of the frustration you may have with slippery fabrics and help you enjoy sewing with them. Do you have any other tips for handling slippery fabrics? Do share in the comments below! PS. 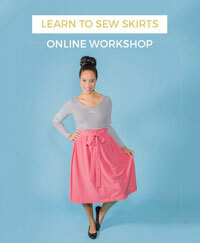 If you liked this post, you may also like Tips for Speedy Sewing.